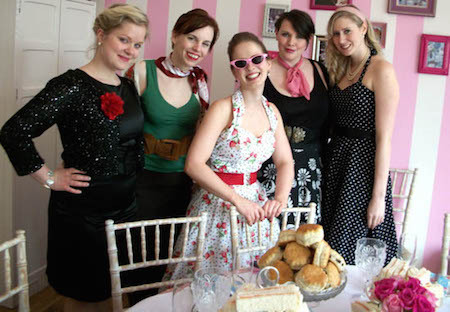 Their afternoon Tea is of course, served in vintage china with unlimited tea. Airyfairy Cake Boutique, School Lane, Didsbury, Manchester, M20 6RG. Their afternoon Tea is of course, served in vintage china with unlimited tea. Everything is baked fresh and on site by their in house bakers, they are not a patisserie or 5* hotel but a vintage tea shop doing what a lot of people love! Afternoon Tea includes a selection of classic finger sandwiches and 4-5 types of freshly baked miniature cakes, freshly baked scones with clotted cream and a choice of jam flavours. Sandwiches may include: 'Egg Mayonnaise', 'Scottish Smoked Salmon and cream cheese or dill', 'Cucumber, cheese and chives', 'Honey roast ham and English Mustard', 'Cheese and Pickle', 'Tuna and Sweetcorn', 'Falafel and Chickpea' or 'Beef and Horse radish. Please let us know of any dietary requirements (supplements may be incurred).